All students (public, private, home-school), aged 10 - 16 are invited to this FREE event in Pinellas County, Florida! 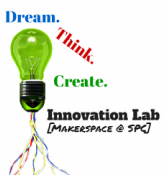 We are delighted to partner with the Innovation Lab at St. Petersburg College to host this event on March 24th, 2018 at the SPC Seminole Campus. The student participants need no prior experience to register and participate in this event, which has been made possible with the help and support from Pinellas Education Foundation, Pinellas School District's STEM Academies and our sponsors. Please plan to attend the Practice Workshops on February 2nd and February 19th at the SPC Seminole Campus to become familiar with competition rules, tools, and technology. For more information, send us an email and follow us on social media for latest announcements! Volunteer Opportunities: We are looking for middle and high school students who are interested in learning advanced concepts in coding during summer 2018 and work with our organization during academic year 2018-2019. Send us an email to learn more about how you can contribute and earn volunteer-hours.